The Tractor Front Dozer/ Blade is efficient in pushing large quantity of soil, sand and other material at agricultural grounds and construction sites. Easy to assemble and disassemble, these tractors are also used for land leveling. The high carbon steel blade prevents the braking and corrosion. 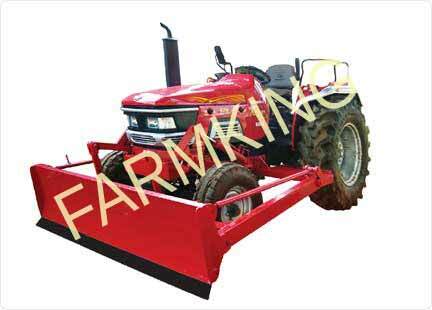 The tractor width can easily be adjusted as per the tractor power. The industries where it is used includes mining, building and forestry. Easily clear the fields and used for land leveling. Dozing Capacity 40 Cu. Ft.
Dozer Blade Effective Blade Lift 410 mm.